All sessions are fully coached including the distance runs on a Sunday. This session incorporates the Learn to Run and Beginner program, as well as techniques such as intervals, hills, fartleks, etc as you progress. More experienced runners learn techniques that help improve their speed and distance. Training sessions will be tailored to suit all levels of abilities. Mum’s with prams are also easily incorporated into the sessions. Sessions are open to all levels and begin with a warm up, drills and strength work, and end with a cooldown and stretching. Focus is also given to strength work to ensure you learn, and continue, to run strong and reduce the risk of injury. Meet at Ringwood Lake. We meet just inside the entrance on Maroondah Highway near the Christmas Shop. This is a more strenuous training session incorporating techniques such as intervals, hills and sprints to improve performance, strength and speed. All sessions include warm up and agility drills, strength training specific to runners, as well as cool down and stretches. Each session is planned around the groups current needs and progress. Individualised 'homework' is given to help you train in the areas most important to running strong. For Juniors aged 6-14 years. 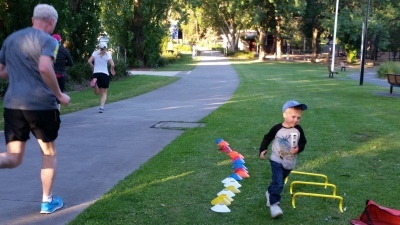 Junior runners will learn the fundamentals of running including techniques, as well as improving fitness and coordination in a non-competitive, fun and supportive environment. Coach Abi has experience working with children of all ages with Athletics Australia and has a Working with Children’s check. Feel free to attend weekly free timed 5km runs for an extra weekly run. These are a great addition to your regular training with the Park Run organisation where you can track your progress over the 5km distance. 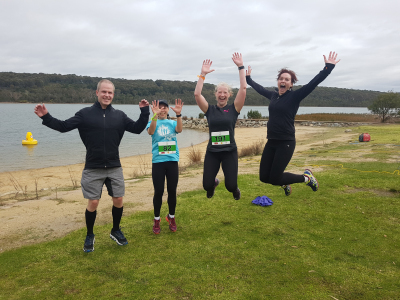 Register on the Park Run website and simply take along your bar code. 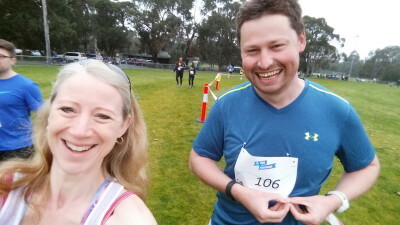 9.00am: Walk to run group, 5km, 10km. Join me for a run in our local area in nature on the trails. Destinations will be advised the week prior. Runs will include different terrain to help you get used to different surfaces, hills, and weather. These are individually paced runs to help with longer, continuous distances and runners will complete distances relevant to thier current goals. 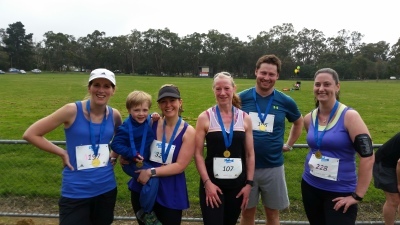 We run at various locations throughout the outer eastern suburbs such as the Warburton Trail, Mullum Mullum Trail, Dandy Creek Trail, Westerfolds Park, Jells Park, Lilydale Lake, Lysterfield Park, etc. Often including a post run coffee/ meal afterwards. We have a private Facebook messanger group where I provide details about session locations for the distance runs, as well as information that is relevant to the squad, as well as event information. You will be added to the group upon joining the squad. Feel free to come along for a free trial session. Bookings are essential for initial attendance so I can look out for you and welcome you to the group.